Well put, Chuck! We couldn’t have said it better. 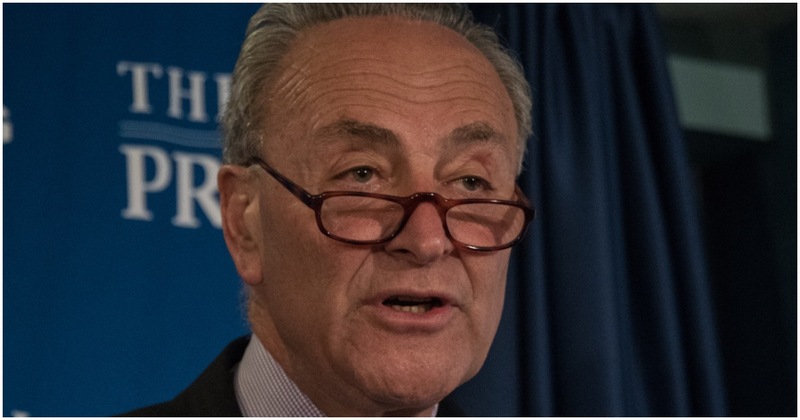 Just a few years ago, Senate Minority Leader Chuck Schumer (NY) talked the same way President Trump talks now about illegal immigration. In fact, the talk is strikingly similar. The folks at Body Language Ghost are back again. They’ve analyzed big names in the past, but their targets today are Democrats Schumer and Nancy Pelosi (CA). The pair recently met with President Trump in the Oval Office. According to Ghost, Trump set them up. Nancy and Chuck’s body language suggests they didn’t know the media was going to be in the room and they weren’t prepared. California’s Pelosi has apparently just clued the rest of us in on a monumental secret. Body Language Ghost reviewed an interview from Broward County Elections Supervisor Brenda Snipes, who has a history of malfeasance. Snipes comes off as aggressive, defiant, and deceptive. Barack Obama was always credited as a good orator. He appeared calm and cool under pressure, even when appearing to lie through his teeth – as is the case with most politicians at any given time. In short, Obama is coming off as desperate.